This readily found mango juicy needs no introduction as it is well known for its sweet and refreshing taste. Mangoes may very well be the king of all fruits. They fight cancer, alkalize the body, aid in weight loss, regulate diabetes, help digestion, clean your skin, and make the perfect snack. The mango is among fruits popular in the tropics and is mostly known as the ultimate smoothie ingredient. 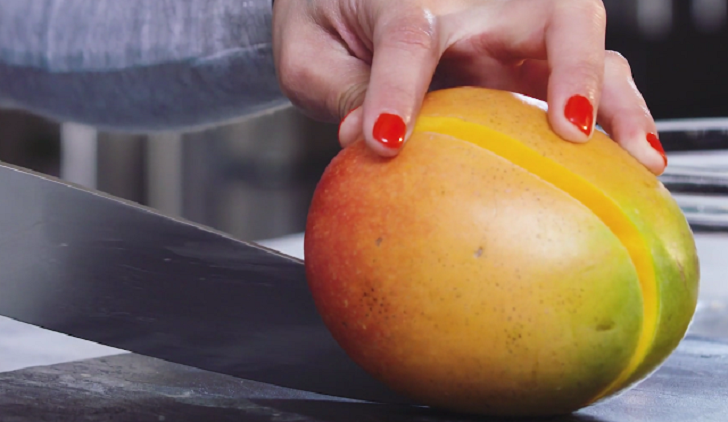 But did you know that the mango is also a nutrient powerhouse? The mango peel is rich in phytonutrients like polyphenols and carotenoids, which are known for their ability to prevent inflammation in the body and fight free radicals — which helps keep cancer away. Those strings that get in the middle of your teeth are made up of pre-biotic dietary fiber that makes the mango one of the richest sources of fiber. This nutrient ensures bacteria in the intestines remains healthy and functions well to prevent diseases like colon cancer and keep your digestion in check. The orange-yellow pigment in the mango depicts the presence of Vitamin A and carotenoids. In fact, 100g of the fruit can give you approximately 25 percent of the daily recommended amount of Vitamin A.
Carotenoids and Vitamin A are antioxidants that protect your body from free radicals, they are essential for eye health, they ensure the integrity of the skin as well as mucous membranes in the body which then prevents entry of disease-causing organisms into the body. The mango is also a good source of potassium which is essential in the control of blood pressure as well as maintaining a balance in the body fluids together with sodium. This amazing fruit is also rich in Vitamins C and E, which helps the body fight infection and promote quick wound healing.